Pure genius.... Sometimes you read a book and you understand what the fuss was all about. On the morning of their fifth wedding anniversary, Nick Dunne's wife Amy dissappears. In their house there are signs of a violent struggle. In Nick's own words, we learn that all was not well with their marriage. From Amy's diary, we learn that she's tried to be a good wife but Nick, after losing his job as a writer in New York and moving them to Missouri (even though she, a native New Yorker wasnt eager about the move) doesnt appreciate her efforts. Did Nick kill his wife? That's the question the police, the public, and even the readers are asking. Things are more complicated though. Amy is not just Amy Dunne, she is Amazing Amy, the inspiration for a series of children' books her parents wrote all through her growing up years. She's been a little famous her whole life, not to talk of rich and beautiful. She's also been the victim of stalkers, people obssessed with her to the extent that they want to be her. Did someone else kill her then? There are other possibilities. The yearly treasure hunt Amy sends Nick on whenever their anniversary comes around, treasure hunts he usually fails at, often failing to remember the things she loves most about their marriage. She's set up a last treasure hunt before she dissappered, each solution containing the next clue. So is Amy waiting for Nick at the end of the treasure hunt? There's so many questions, so many twists and turns, and the ever present possibility of Nick, no saint by the way, in fact a very weak selfish man in my opinion, going to jail for the murder of his wife. I loved this book. The writing was perfect! it kept me at the edge of my seat the whole time. I would definitely recommend it to everyone. 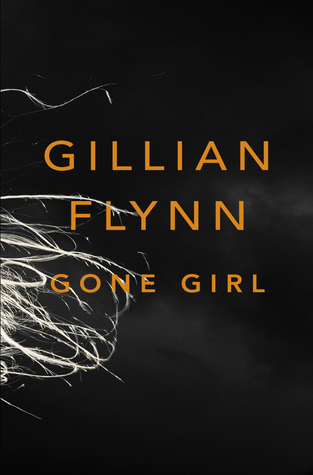 Sign into Goodreads to see if any of your friends have read Gone Girl.